What Exactly Is Ring Engraving? What exactly does Sue mean when she requests an engraved ring? Is Sue talking about the wedding date and both your initials inscribed inside the shank, or a message phrase, or perhaps a cute pet name for her? Or could Sue be referring to intricate designs etched over the top surface of her wished for engagement ring? In other words decorative designs? The answer: maybe both. We just need to figure out what type of engraving Sue wants and what engraving method you should request. Here is a quick explanation of engraving types and your choices of methods in having it done. 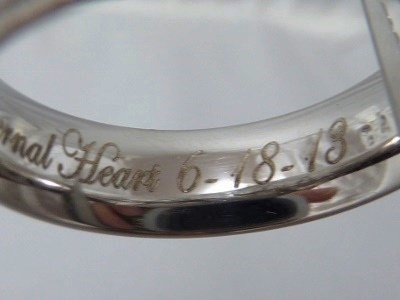 Couples commonly add this type of engraving to their wedding or engagement rings to further personalize their rings. Creating a vintage feel on your ring’s surface using floral, sweeping designs, or tiny pictures, hand engraved, makes your ring unique. 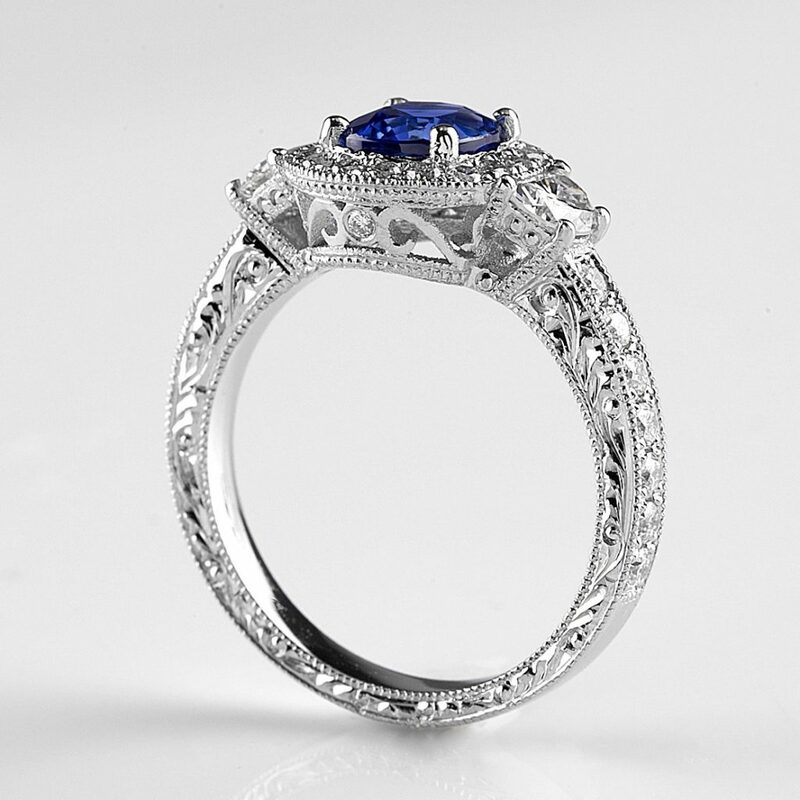 Oftentimes, the little, exacting, and intricate artful details on a ring can’t be replicated in the wax carving and casting processes. 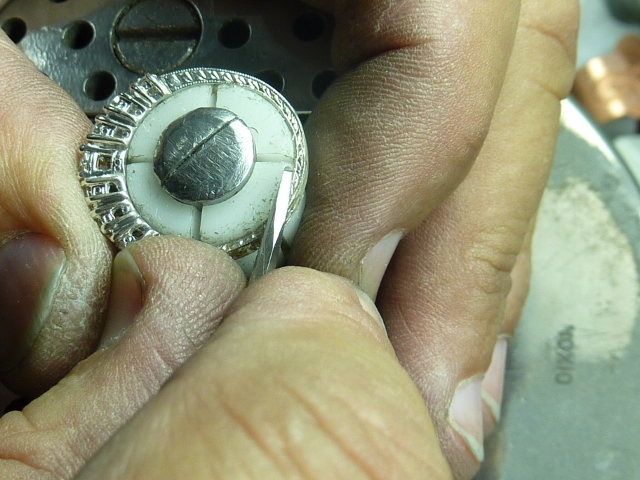 Once the ring is complete, the hand engraving is done. 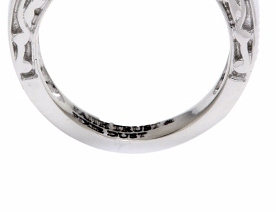 Hand engraving is also done on more modern designed rings. It is not just the vintage ring secret. What’s Next With Engraved Rings? If you want inscription engraving, you’ll want to know your choices of engraving methods. In machine engraving, your ring is secured in a vise grip on a machine. While the engraver traces a template, (pattern,) of the letter or symbol that will be inscribed, a corresponding sharp tool engraves your piece of jewelry. The templates are the limiting factor in machine engraving. You need to choose one of their offered fonts. Typically the engraving isn’t deep but the letters are more neat and uniform than hand engraving. This type of engraving has been around for thousands of years. Because it’s done by hand, it’s imperfect, but…it’s unique and I find it charming. Hand engraving also allows the freedom of choosing symbols and various lettering styles in sizes and fonts where no template pattern exists for a machine engraver. 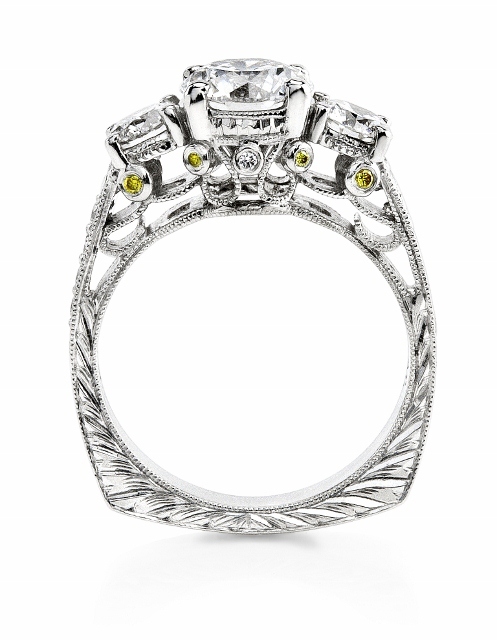 Hand engraved rings are usually etched deeper and therefore, the message will last longer. Variation of thickness within one letter or symbol is a high point and advantage when having hand engraving done on your ring. It results in more interesting looking letters and symbols. 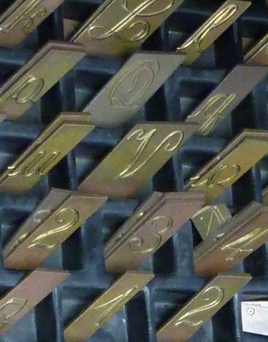 In addition, hand engraving goes from shallow to deep, and back to shallow on each letter or symbol. Therefore it creates a depth and interest when seen, that is unique and artistic in its handmade beauty. Laser machines are expensive, but offer great flexibility, especially in terms of size and font style selection. The laser engraving operator programs your message on a computer. They can work off of artwork you provide or any clean print out of unusual fonts or symbols. If you want to have your message engraved in a foreign language, your artwork will be able to be duplicated. This gives you greater versatility in your choices. Biblical quotes or longer wording generally won’t fit on the inside of a ring. But sometimes that’s what you want. Laser engraving is the only option when you need more words or symbols inside that ring. The computer precision you get with laser engraving will allow for longer messages. You may need a magnifying glass to read it. I’ve even engraved a kiss inside a ring! 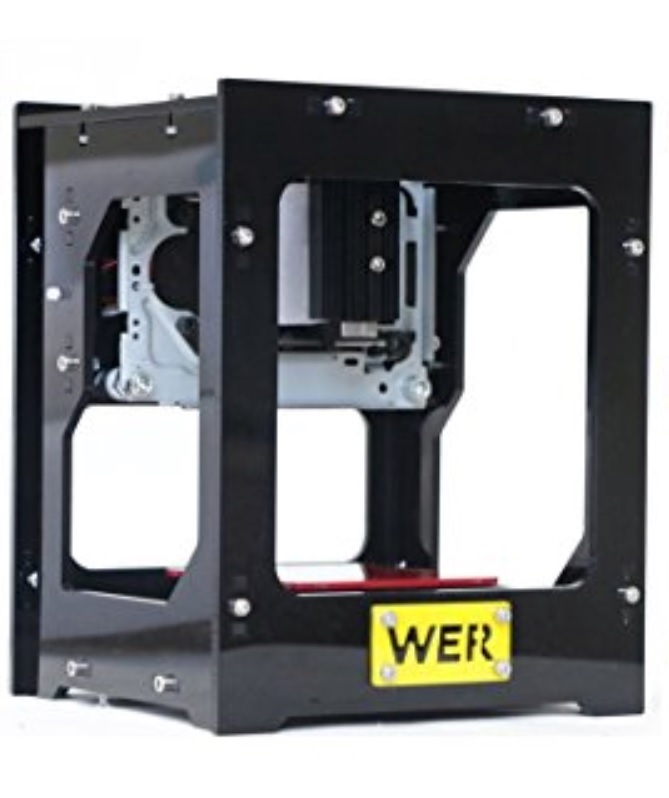 The laser engraving operator can set shorter or longer dwell times for the laser beam doing the engraving. Therefore with laser engraving you can etch alternate metals other than gold, such as tungsten, titanium and stainless steel. These alternate metals take a longer time to engrave and often cannot be engraved by machine or by hand. Today, even diamonds can be engraved. Thanks to laser engraving. 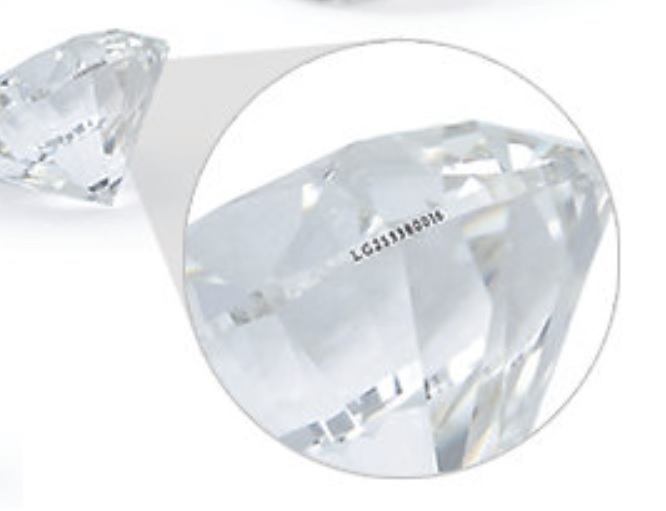 The font size laser engraved onto the girdle, (widest thin edge), of a diamond is so small, it can only be seen under high magnification. 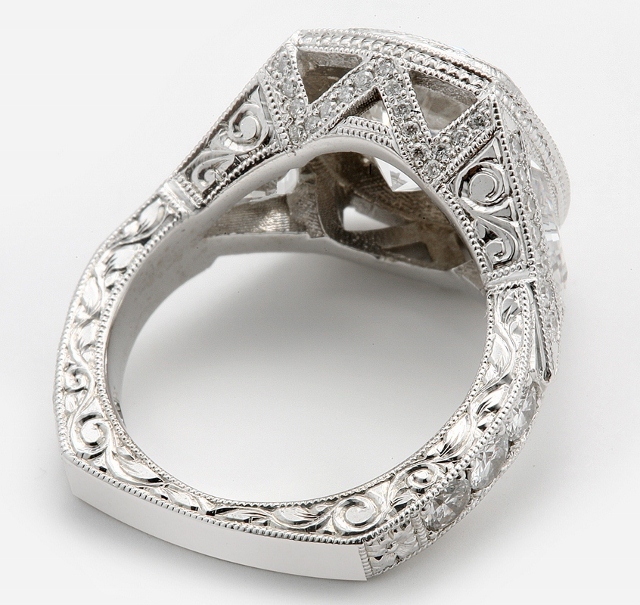 Hand Engraving is the most common method to engrave decorative designs on the outside of rings. Hand engraving is an art form and looks amazing on wedding rings. Hand carved metal creates tiny sharp details and reflects the light in differing ways, and that sets it apart from the other methods of engraving. Newly hand engraved rings often sparkle so much that people think there are little diamonds set where only engraving lives. Many thanks to Gerard Leon Engraving and Diamond Crest Engraving for photos and information. An engraved piece is so personable and romantic! I love this idea and hope more men think to go the extra step when purchasing their next piece from Calla! I love engraving!!! 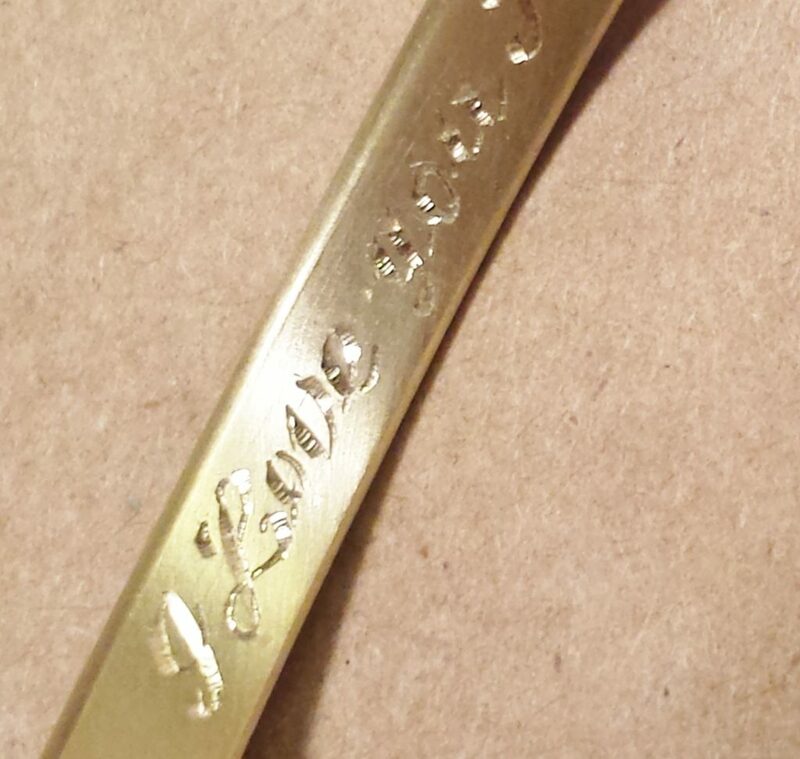 Especially hand engraving-so personal and beautiful. 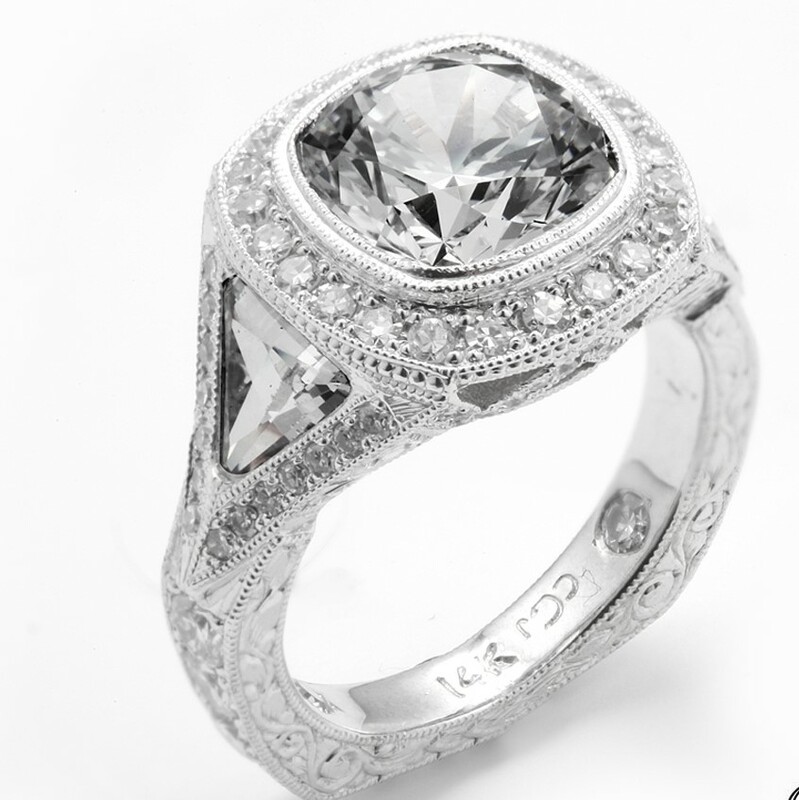 The idea of engraving a diamond is awesome-a special secret to your most important ring in your life. Love your engraving Calla-a true artist. I really like the engraving on the wedding bands. 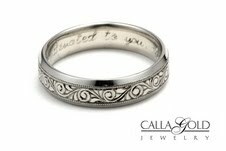 I love the engraving work of Calla Gold Jewelry. It photographs very well. 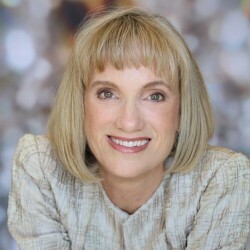 This informative post with engraving info is something I hope you’ll include in your next edition of your e-book “The Language of Jewelry Design” that I downloaded recently. 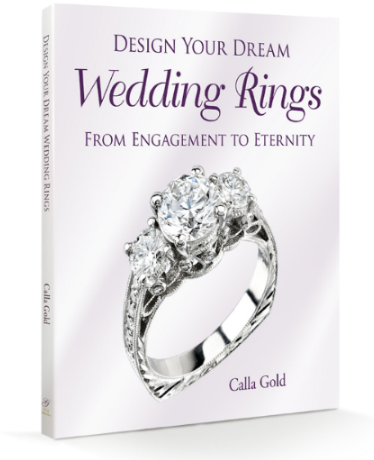 Your e-book is chock full of great information for those of us planning our dream engagement ring. 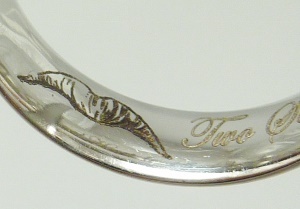 But these added engraving details I really like. I really liked learning more about the engagement ring engraving details. Keep up the good blogging! Could you do pictures instead of words? I’m looking to get a design done on a spinner ring and was wondering if you had any of those as well? I can send a picture of the design I wanted around the ring, just let me know where to send it.